MDC Alliance Makokoba constituency MP-elect James Sithole has been reported to the police for allegedly embezzling thousands of dollars belonging to a local burial society in which he was the chairperson. Sithole also stands accused of diverting for his personal use 10 000 rands reportedly donated by MDC-T breakaway leader Thokozani Khupe for the purchase of a stand for the construction of a parlour for the Makokoba burial society. The burial society was founded in 2010 by party supporters in the constituency to assist members during funerals. The MP-elect also faces charges of squandering a further $16 000 belonging to the burial society, leaving it broke. 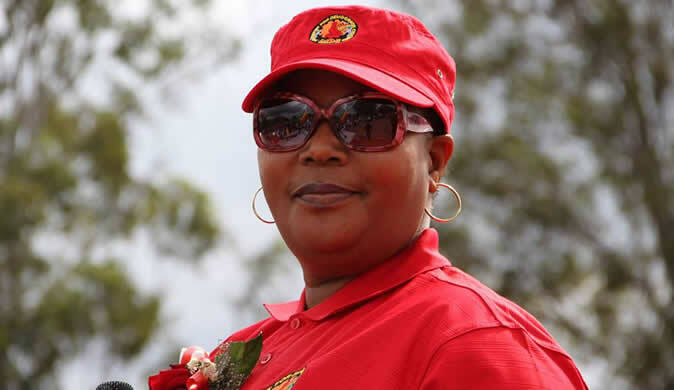 Khupe's spokesperson Kharl Phugeni confirmed the 10 000 rand donation to the burial society by the former deputy prime minister to the Makokoba constituency burial society. In separate interviews, Makokoba burial society members accused Sithole of dipping his hands into the society's coffers leaving it broke, but the MP-elect dismissed the allegations as malicious. "I have been to the police after they reported me to the security organ over these charges. The fact that I am not in prison is enough evidence that my hands are clean. "They are my political opponents pursuing an agenda to soil my image after I defeated them in the just- held elections," Sithole said in an interview yesterday. Former Makokoba burial society treasurer Margaret Sibindi and other members, however, accused Sithole of embezzling funds belonging to the society. "Sithole did not return a single cent from the thousands that he embezzled from the burial society," she said. Bob Muzondo, who was the burial society organiser, refuted Sithole's claims that they were "out to tarnish his image" after the July 30 elections. "It is all about transparency and accountability," he said. "We are not at all jealous. We just want all the money he squandered that belongs to the burial society," said Muzondo. Sithole is no stranger to allegations of dishonesty having been suspended as ward 7 councillor by former Local Government minister Saviour Kasukuwere alongside former deputy mayor Gift Banda and other councillors over corruption involving land deals in 2016.